DVD image case cover, hiking / alumni society commemorative photo etc. LBP printing is used. This review is about item#87203487. 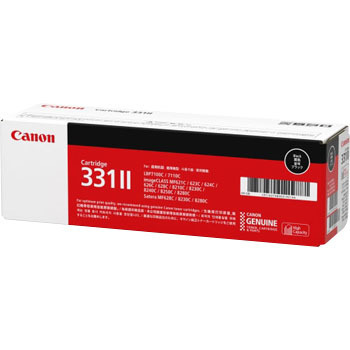 I had used a compatible toner cartridge before, but the color condition was not good, I returned to genuine because I was working on color adjustment. It is very helpful to get genuine products quickly here. This review is about item#87203496. It was genuine and the price was cheap. Delivery was also quick and saved. Anyway it is cheap. Since it is genuine, it can be used with confidence. This review is about item#87203471. It is mainly used for printing title (cover) of production video (DVD) case. In addition, Canon's leather printer is indispensable for various guidance documents (with pictures). The frequency of purchase is also high, and it is "genuine goods and cheapest cheap" is "monotaro". Previously, I was purchasing through a mail order at a certain large home appliance store, but still "monotaro" is a conscientious price, mostly nowadays, this mail ordering favorite. Especially, it is good to use cheap day etc. by special discount information. It is genuine sense of security and cheap price, delivery speed is good. Also, the politeness of packaging is wonderful. There are many purchases of office supplies, but since the hobby is a car, there are tools and many others, thankfully to those living in local cities, it is very handy.